He may not be on campus much anymore, but Calgary mayor Naheed Nenshi is still a well-known figure at the University of Calgary. The U of C commerce graduate and 1993–94 Students’ Union president has made quite the name for himself since leaving his teaching post at Mount Royal University to enter politics in 2010. This October, Nenshi will run for a third term as mayor in the 2017 Calgary municipal election. The Gauntlet spoke with him about property taxation of university residence buildings, secondary suite legalization, public transit access and his time as a U of C student. The Gauntlet: Apart from being the Students’ Union president in 1993–94, what characterized your time at the University of Calgary? Naheed Nenshi: I had a great five years on campus — four years doing my degree and then one year as president of the SU in a very tumultuous time — a little bit like now, actually. It was a wonderful time to be on campus. There was a lot of creativity going on and it was the birth of new movements in politics. 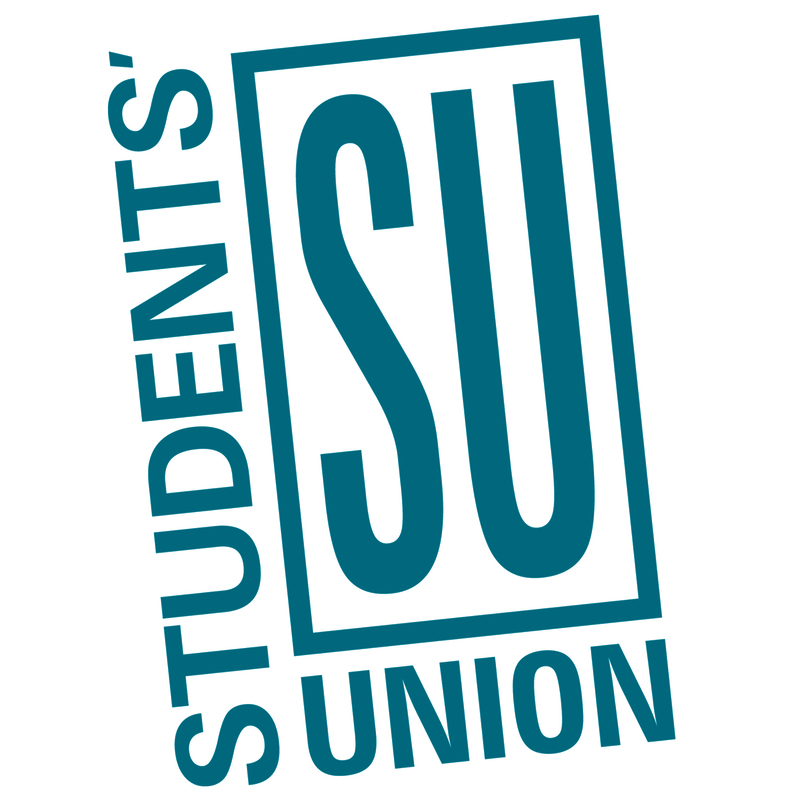 One of the very first things I did was sign up as a volunteer with the Students’ Union. I got the opportunity through that to really get involved across campus. I was one of the first student ambassadors in that program. I think it’s worth saying I lived life to the fullest as a U of C student. To this day, I still say I’m the number one U of C Dinos football fan there is. Gauntlet: When you were SU president, the U of C Board of Governors approved a $10,000 per semester cost-recovery Masters in Accounting program. The SU was strongly opposed to the program, claiming it was a tuition regulation loophole. Do you remember that? Nenshi: [Yes], very, very well. That was the first program in Calgary with deregulated tuition. It was very important for students at the U of C to ensure that tuition regulation stayed in place. A lot of really bad stuff was about to come down the pipe, in terms of funding cuts and tuition hikes and it did end up happening. That particular program really was [just] a foot in the door. Nowadays, we have deregulated tuition in a wide variety of programs. I still think in most programs it’s not a great thing. When we look at what happened when tuition was deregulated in medical schools, the percentage of students entering medical school from first-generation Canadian families and from lower income families really went down. In my other job, which I’m on leave from, I’m a professor at Mount Royal University. When the U of C massively increased its tuition in the Haskayne School [in 2010], we saw massive increases in our applications [at MRU]. And in one year, the entry GPA flipped. There’s all kinds of impacts from deregulated tuition on access that need to be thought about carefully, especially at the undergraduate level. 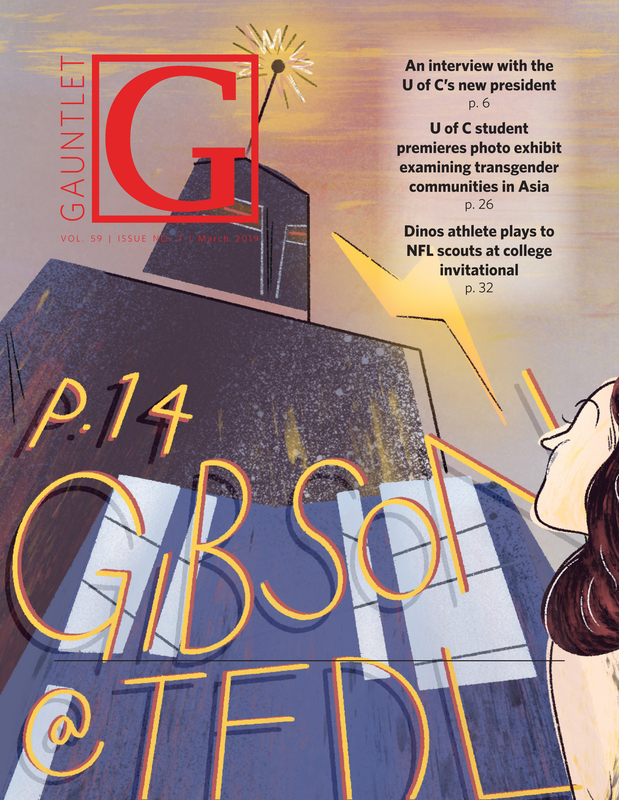 Gauntlet: U of C Residence Services, the Residence Students’ Association and the SU are all pushing for post-secondary residence buildings to be exempted from paying property taxes. Is this a realistic advocacy goal? Nenshi: The city doesn’t have the ability to do that. That’s something that would have to be advocated to the province. To be honest, [they’d] really have to make a strong case for it. There are many students who live in — sometimes substandard — accommodations off campus and they still have to pay property taxes, usually embedded in their rent. We’d really have to understand why it would make sense to exempt on-campus student accommodation when the vast majority of students who live off campus don’t benefit from the same exemption. It’s also muddy to the city’s operating budget, which is very, very tight, as always. So we’d have to find a way to replace that funding. I’m very happy to hear the conversation, but it’s one where as advocates, the SU and the RSA are really going to have to make their case clear and address the question of why student housing on campus and student housing off campus are different. Gauntlet: These groups’ arguments are that residence students in other provinces like British Columbia do not have to pay property taxes. As well, they argue that residence buildings cannot be given a market value the way other properties do. What do you think of these arguments? Nenshi: That’s an interesting argument because in Alberta, uniquely, we have to conduct a market value assessment every year. So every year, the assessment on any given building in the city will change. The argument that the U of C is being improperly assessed because the market values are not comparable — that’s an interesting argument worth pursuing. Obviously the U of C never sells those buildings, so it’s difficult to determine their market values. If it’s felt that the methodology we’re using is unfair, that’s a more interesting discussion to have rather than the policy change of on-campus versus off-campus housing. Gauntlet: Where is the city at on the issue of secondary suite legalization? Nenshi: We’ve made a couple of first downs, but we’re far from making a touchdown. It is very disappointing to me that we haven’t been able to get [at least] eight members of council to agree on something I think is correct from both a policy and a moral perspective [and is] something that every other major city in Canada did years ago. That is to ensure there is a supply of legalized secondary suites in every district across the city. The problem we have right now is there are tens of thousands of illegal secondary suites in the city. Students live in many of them. When they’re illegal, I have no ability to ensure they’re up to code, that their smoke detectors work and that there are adequate [ways to get out of the building] for the people who live there. There’s no way we can close them all down. First of all, it’s an impossible task. Second of all, where would the people who live in them go? We created a system where we almost deliberately turned a blind eye to the fact that some of our citizens are living outside the benefit of the protection of the law. We’ve got to come up with a way to fix it. It’s actually very easy. If we legalize them in every district in the city, responsible landlords will apply for a building permit to build these things and we’ll get a chance to inspect them. As you get more and more responsible landlords into the system, it crowds out the bad landlords who are operating illegally. Gauntlet: Regarding public transit access, all U of C students have to pay for a UPass, but many students cannot use it because they live in underserved neighbourhoods. What is the city doing to help these students? Nenshi: It would be extremely unlikely that someone was not able to use [the UPass]. I suppose if you lived in Cochrane, it would be difficult. The university is very well-served by transit. Sometimes people get confused between what’s convenient for them versus what they can and cannot do. There are very few spots in the city that are not within walking distance of a bus stop. However, we are in the midst of the largest investment in transit service in the history of Calgary, and that includes the building of the Green Line, which will essentially double our Light Rail Transit network. What’s perhaps more interesting than that from the U of C’s perspective is the building of the Bus Rapid Transit system. In particular, one of them serves the U of C directly, which is the north-crosstown BRT. I think it’s a really great thing because it allows people from eastern Calgary to get to the U of C without having to come downtown first, or take a real milk run like the number 72 or 73 — which takes forever — to cut across east to west or west to east. [The north-crosstown BRT] will also provide better linkages between the main U of C campus, the Foothills campus and the Alberta Children’s Hospital. In the future, one of the next big transit investments after the Green Line is something called the Northwest Hub [known as the NW-HUB]. That really is about better connections between the communities around the U of C, the communities around the hospital and potentially the west LRT. We continue to invest in this. The U of C is a major traffic generator for transit and we would like even more people to be able to take transit there. Gauntlet: This will be your third mayoral campaign. What do you plan on doing differently from the first two? Nenshi: When I first ran for office, we had 12 major policy planks. We’ve achieved 10 out of 12 of them. The 11th was campaign finance reform, which requires the province to make some real action that they have not yet been willing to do so — though I think they will for [this year’s] election. The 12th is, of course, secondary suites. In this last term, dealing with the slowing economy in Calgary, we’ve had to really pivot to make sure we’re catching people falling through the cracks and make sure everyone has a decent life here. As much as I hate going into the campaign saying ‘more of the same,’ I also don’t want to make it look like, ‘I have all these great ideas but you have to re-elect me to get them in.’ I really believe when you’re in public office, you’re given a gift. I’ve been given seven years. I get to go to work every day and work as hard as I can to implement as much as I can. That’s what I’ll continue to do right up to the election and hopefully after the election. Gauntlet: Lastly, why should U of C students vote for you? Nenshi: It’s very early to be campaigning — I’m still ‘mayoring.’ But that said, I’ve been very pleased over the last seven years with the support I’ve had from students at all of our campuses, particularly at the U of C. It’s still hard for me to walk through MacHall without it turning into an open house on transit and secondary suites. I believe that on student issues, my record clearly shows that I’ve been focused in a way that previous governments have not been on making life better for students. I think that students have really felt that they’re being heard on their issues in a way that previous municipal governments didn’t do. I think there was a town and gown divide where on the edge of campus it was like the municipal government didn’t matter. But the stuff the municipal government does impact students every day, whether it’s transit, roads, clean water or housing. Students, [number] one, have to vote. Get informed, find candidates that represent what you believe in and vote. Our youth voting rates in every order of government are abysmal and I want to see more people out voting. Number two, volunteer for a candidate. Find someone who matches your views and get out there. There’s nothing more fun than working on a political campaign. The municipal election is a great way to get involved in politics.